When an educational institute has contact with one of their students’ parent, they want to track the communication that has taken place and make sure that they remember just what happened. They want to know when they have contacted the parent and what the reason was for the contact. A parent contact log can help with those who are looking to track such information, as it provides them with a place where they can write everything down as soon as it happens. Educators need to stay in the know in regard to their students, and tracking communication with the students’ parents can help with that. An educational institute does all that it can to make sure that their students’ needs are covered, and they communicate with the parents of their students as often as they need to in order to make sure that that is the case. 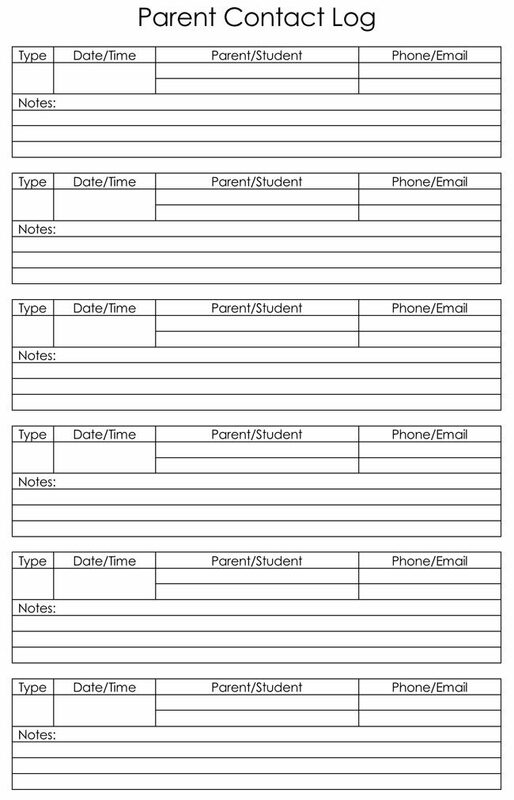 Parent Contact Log Templates can help those who are making contact with parents, as they will be able to look back on previous contact and have an idea of how things are going to go and just what the parents are going to expect. 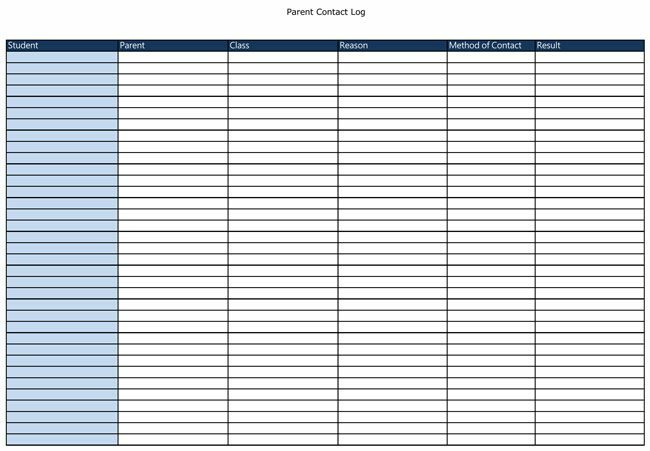 When you are looking to create some kind of a log of the contact that you have made with the parents of your students, you will find that Parent Contact Log Templates will help you with that. 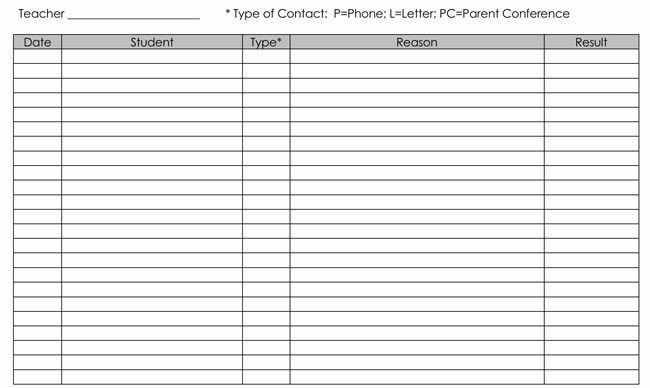 When you are looking to write down all of the contact information in regard to your students, parents, and teachers, you will find that Parent Contact Log Templates will give you the space to do that. The templates that you find here are easy to use and they are available free to download. The templates that you find here allow you to create a simple log of the contact that has taken place with students’ parents.